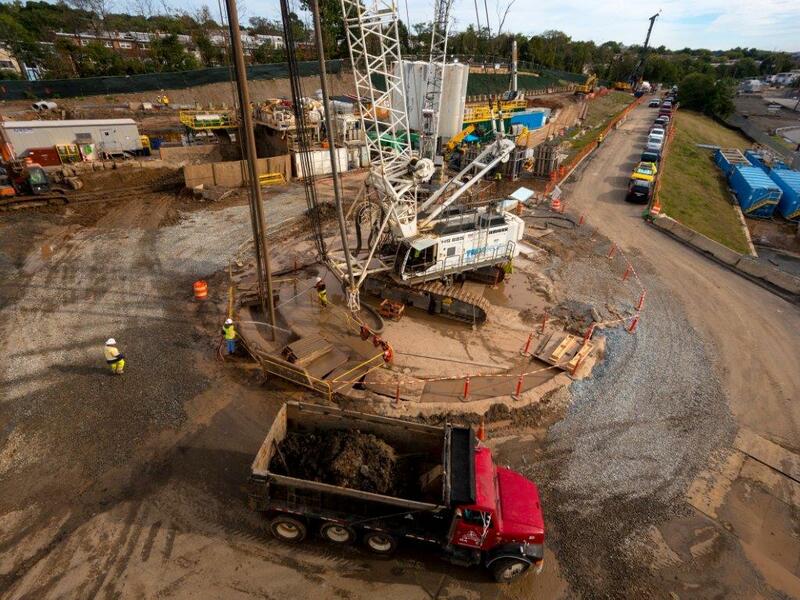 TREVIICOS is progressing its work for the construction of the Northeast Boundary Tunnel (NEBT) in Washington, D.C. The NEBT is a large, deep sewage tunnel and major segment of DC Water’s Clean Rivers Project. This massive infrastructure and support program are designed to greatly reduce chronic flooding and sewer overflows to the Anacostia River. NEBT involves the construction of a 23-ft diameter, 5-mile tunnel built 100 ft below ground. In addition to reducing flooding, the tunnel will increase the capacity of the city’s sewer system once connected to the other Clean Rivers Project tunnels.